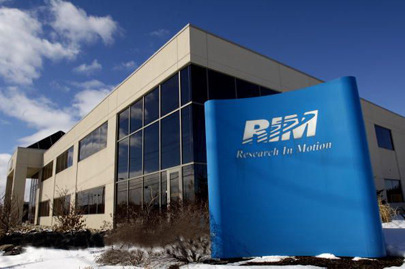 During the Research in Motion’s (RIM) annual meeting, the two co-CEOs have announced the delay in the launching of the new BlackBerry. Despite the struggle of getting back on track after poor reviews and the free fall of the share price, RIM is forced to announce setbacks into what the staff calls the biggest product launch yet, Associated Press reports. On Tuesday, at the RIM’s annual meeting, co-CEO Jim Balsillie announced that the launching faces challenges and will probably be postponed. But at the same time, he announces that seven new BlackBerry phones will run the advanced system in the following weeks, this enabling the company to stick to the financial plan for this year. The other co-CEO, Mike Lazaridis, explained why the delay appeared. He said that the main cause is the fact that the smartphones are created so they would meet the market expectations, outlining that the technology that is used for creating the new BlackBerry jumps a generation. “It may have delayed us, but we are going to come out ahead,” he said. The context in which the delay of the new BlackBerry smartphone occurs is not favorable. Since the beginning of 2011, the share price of RIM has fallen more than 50 percent. The once top of the tops now struggles to compete with Apple Inc.’s iPhone. The company is trying to come up with a device that will make a strong competitor for iPhone and the smartphones that run the Android operating system from Google Inc. In April, Research In Motion has launched a tablet called PlayBook. The device got bad reviews and in addition to that, 1,000 of the units had to be recalled as they had problems with the running software. The criticism – which also includes the presence of two people sharing the same spot: CEO of the company – and the inability to maintain the reputation in has built until now, have triggered rumors about a takeover.